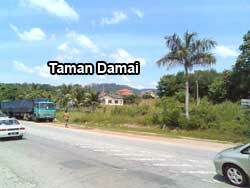 This is the view of Taman Damai from the Rembau - Tampin road. From this junction it is about 700 metres to the subject property. There are a few nice bungalows in this housing scheme. 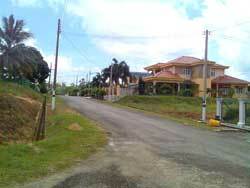 The back boundary of this housing scheme adjoins the subject property.